I wrote this piece during a very stressful, transitional period in my life. I thought for a while that I had lost my ability to compose, my ability to be inspired. 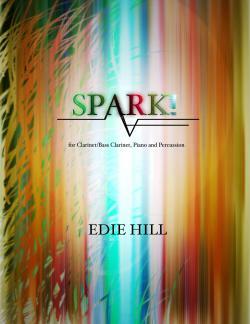 “Spark!” was the piece that broke through that mental block. It came as a welling-up of energy that I needed to express. It’s about cause and effect, how one thing charges another, and how one sound can ricochet off of another. A tiny spark can create a blaze.